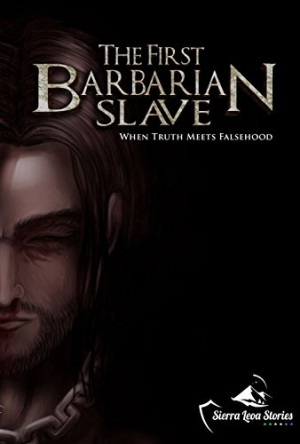 The First Barbarian Slave is a fantastical tale of faith and magic. Ansu Turay’s ambitious The First Barbarian Slave lays the foundation for an epic fantasy trilogy filled with ambiguous legends and murky ambitions. Acting a precursor tie-in to a video game, The First Barbarian Slave tells the tale of a fabled ancestor named Rofurmer. The novel chronicles Rofurmer’s rise from an exiled slave to a king with the help of a banished princess, Princess BormAAr, who dominated the underworld as a gladiator only to be exiled to Rofurmer’s realm. Rofurmer’s world blends elements from several world mythologies. Rofurmer and his allies are “Barbarians” and suffer under the yoke of a tyrannical elite known as the “Golden Race.” In Rofurmer’s world, nothing is quite as it seems, faith is paramount, and morality is an elusive achievement. The conflict between the Golden Race and the Barbarians is the novel’s driving force—as well as Rofurmer’s. With the supernatural help of BormAAr and his own innate gifts, Rofurmer struggles against obstacles in dogged pursuit of freeing the Barbarians. Rofurmer’s world is an unusual mélange of conflicting religions and mythologies, but the religions are not sufficiently explained. Both sides are morally ambiguous and share a common trait of not believing in the world’s one “true” religion. Beyond superficial traits (villains and warrior rulers are rendered as overly cruel), the novel’s world building is limited, resulting in a story that’s difficult to connect to. Pointed footnotes pause the story for teaching moments during particularly important scenes, but they are ineffectual. Directed at the reader, they break the fourth wall, revealing dramatic irony or foreshadowing important aspects, but they also contradict the story. Flawed analogies further muddy the message. The novel’s major characters have clear motivations and goals, but they’re not built with nuance; minor characters don’t have such backstories and become an interchangeable mix. Most characters seem to merely react as the story unfolds. The novel’s core message—that faith should be relied on above all else—is not clearly seen in their actions; many characters find success regardless of their adherence to faith. A forced plot twist near the end does not reinforce the point any better, and the ending is lackluster. The prose occasionally adopts a tone and rhythm that’s evocative of spoken-word poetry, an aspect that is echoed in the footnotes. Scenes are sparsely set, with just enough details to allow the characters and plot to advance. The dialogue is evenly paced; subtle interjections of character thoughts and key information are useful. Character names are unusual, and several are similarly spelled, making some conversations difficult to follow. Frequent misspellings of character names are a recurring distraction. The First Barbarian Slave is a fantastical tale of faith and magic that never fully coalesces.